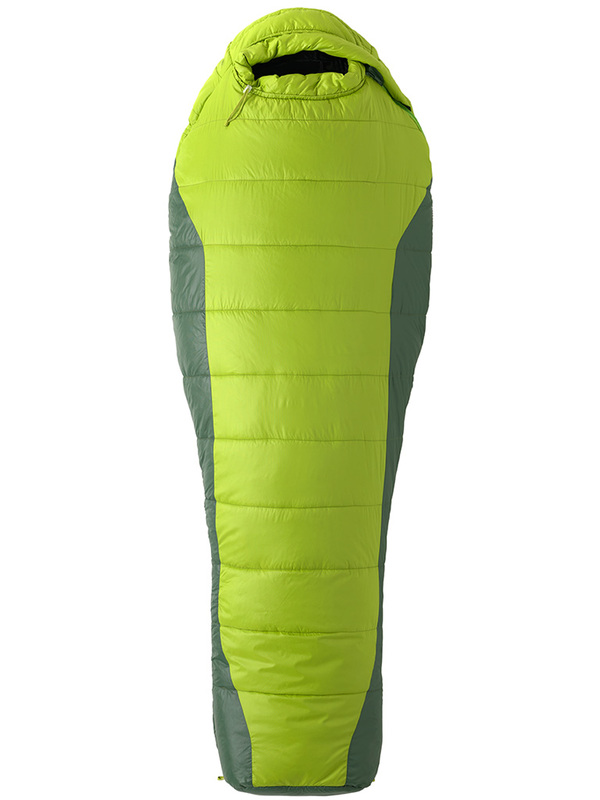 This industry-leading bag is as compactable and lightweight as down, but completely synthetic, featuring thermally efficient hybrid technology for added warmth where you need it most – your core and feet. 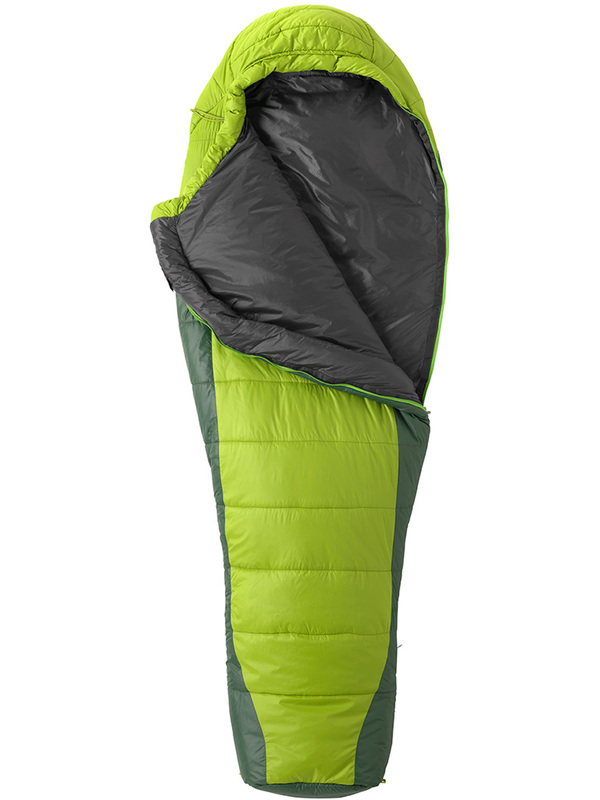 EN-tested for warmth down to freezing, the fully-featured bag has full-length dual slider zipper, 3D-constructed hood and full-length snag free draft tube for plush comfort. From jackets and pants to gloves and sleeping bags, Marmot's Thermal R™ insulation is our ultra-warm synthetic solution for cold weather activities. What is it? Thermal R™ is Marmot's proprietary family of polyester insulations specifically engineered to meet various cold weather needs. How does it work? 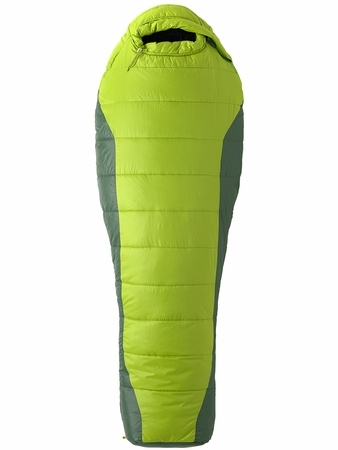 The unique combination of multi-channel and hollow fibers is designed to provide maximum warmth while reducing the adverse effects of perspiration, condensation and humidity. The fine multi-channeled fiber transports away moisture while the hollow fibers provide excellent loft with minimum weight. What are the benefits of this technology?